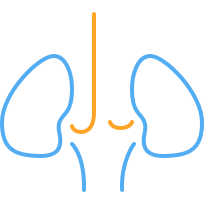 Learn more about the bladder, bladder cancer, its causes, risks, types, signs, symptoms, and traetment modalities. A brief overview of what blood cancer is, its types, risk factors, diagnosis and treatment. A brief overview of bone cancer, its causes, symptoms, risk factors, screening systems and imaging tests, diagnosis, types and treatment options. Read more about what is brain cancer, its signs and symptoms, risk factors and causes, types of brain cancer, and treatment modalities. An overview of what liver cancer is and its categories. A complete guide to Lung cancer, its causes, risk factors, symptoms, screening systems, diagnosis, and treatment options. A complete guide to ovarian cancer, its causes, risk factors, symptoms, screening systems, diagnosis, and treatment options. All you need to know about ovarian cancer, by Onco.com. Read more on what is pancreatic cancer, and how it affects the regula functioning of the pancreas. An overview of what prostate cancer is, its risk factors, causes, symptoms and types. Learn more about skin cancer, its risks, types, diagnosis, treatment and prevention. Learn more about stomach cancer, its signs and symptoms, risk factors, types, diagnostic tools and treatment modalities. A brief overview on what thyroid cancer is, how it develops and who is at risk for it. The number of cancers linked to the hereditary genetic condition known as Lynch syndrome has increased.